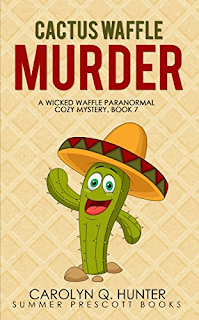 Are you ready for a prickly case of murder? Sonja and Frank are finally married and on their way to their dream honeymoon in the beautiful deserts of New Mexico. They have spa days, museum trips, hiking, shopping, and of course, relaxation on their to-do list. Unfortunately, their idyllic plans are interrupted by a murder. The newlyweds try their best not to get caught up in another investigation, but when the spirit of an ancient skinwalker appears to Sonja, she knows it’s up to her to help catch the real killer. A complicated web of underhanded business tactics, feuds, and revenge is woven together around the couple, making for a very sticky case..
Will Sonja and Frank be able to pin down the truth so they can get on with their honeymoon, or will the killer have the last laugh? 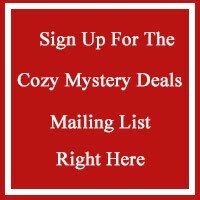 Get this cozy mystery book right now!